If you learn an important technique in this endgame, chances are you will end up using it sooner or later. And there are a great many methods and concepts that can be mastered with a little effort. 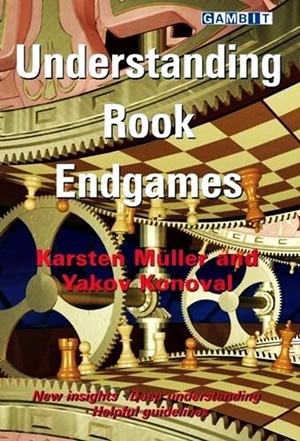 This book highlights the key themes in rook endings, and at each turn invites the reader to test his knowledge and skills with abundant exercises. Rook endgame theory does not stand still. New practical examples illustrate novel approaches as players seek to pose problems to their opponents – Magnus Carlsen has shown that even the driest-looking positions can feature deadly traps. The ongoing creation of new endgame tablebases – of which coauthor Yakov Konoval has been at the forefront – enables new classes of positions to be assessed with definitive certainty. Using six-man and the brand new seven-man tablebases, the authors re-examine many of the old evaluations and reach new and enlightening conclusions about classic rook endings. You will be startled and amazed, and soon discover that you are becoming a far more effective endgame player.